Help Cronkite News reporters cover politics this election season. Click here or on the graphic to share your perspectives through our partnership with the Cronkite Public Insight Network Bureau. • Born April 9, 1964, in Toledo, Ohio. • Moved to Arizona in 1982. • Married to Angela, with whom he has three sons. • Bachelor of Science in Finance from Arizona State University. • Arizona’s 32nd state treasurer. • Hensley & Co., an Arizona Anheuser-Busch distributorship. • CEO Cold Stone Creamery. • Born May 24, 1954 in Ridgewood, New Jersey. • Graduated from Tucson High School. • Married to Jennifer, with whom he has two sons. • Bachelor of Art from Occidental College. • Juris Doctorate from Arizona State University. • Worked in Gov. Bruce Babbitt’s’ office. • Deputy director of Intergovernmental Affairs in the Clinton White House. • Arizona Board of Regents member. • Chairman, Arizona Board of Regents. 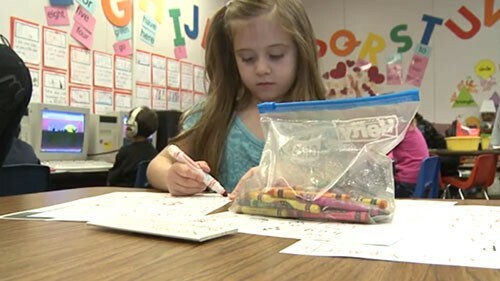 PHOENIX – State courts have ruled that Arizona owes public schools a first payment of more than $300 million for failing to make annual inflation adjustments to base funding as called for by a voter-approved law. Over five years, the bill could be $1.6 billion. Whether and when schools get that money may depend in large part on who occupies the governor’s office come January. 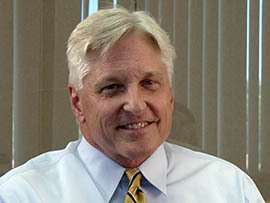 Democrat Fred DuVal says the state should make the first payment. 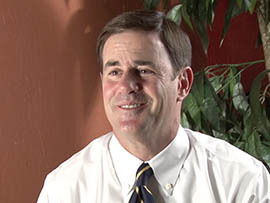 Republican Doug Ducey says he agrees with Gov. Jan Brewer’s decision to appeal the ruling, though he isn’t ruling out the possibility of a settlement. While his campaign said he wasn’t available for an interview on the subject, emailing responses instead, Ducey said during a debate on Phoenix television station KSAZ/Fox 10 that he wants to appropriately fund schools but do so responsibly. “And the reason I have spoken on this appeal is because the baseline on these dollars is important to the difference is between a manageable budget and what The Arizona Republic calls an unmanageable budget deficit,” he said. In 2000, Arizona voters approved Proposition 301, which created an extra 0.6 percent sales tax earmarked for education and required the Legislature to match base level education funding with inflation. In response to a lawsuit by school districts and advocates, the state Supreme Court found that the Legislature had failed to adjust base-level funding for schools since 2010. Maricopa County Superior Court Judge Katherine Cooper ordered that the base-level funding be reset to the level it would have been if it had been properly inflated over the last five years and set the first installment to make up that money at about $317 million. Jonathan Butcher, education director at the Goldwater Institute, an independent group that advocates for limited government, said increased funding isn’t the path to more successful schools. Lawrence Robinson, a member of the Roosevelt District Governing Board, disagrees. DuVal said adequately funding schools would not only help students but benefit the state’s economy. “The most important thing that we can do for our economy is to show people that we are serious about needing to invest in our children’s schools. Arizona needs to improve its education commitment in order to have that kind of growth,” he said. In a debate on Phoenix television station KAET/Arizona PBS, Ducey said the current budget outlook would make paying $300 million-plus more difficult. “We have scarce funds, and I want to make sure that we can be responsible going forward. I would like to settle this and put the appropriate amount of money into K-12 education, but any chief executive would ask, ‘Where are these dollars being spent and how can we best serve our teachers and our children?’” Ducey said. DuVal told Cronkite News he recognizes the strain paying out on the court case could cause. DuVal has proposed pulling money from the state’s rainy day fund, which he said was largely built on cuts to K-12 education. He said he believes that governmental reform including a new procurement process would bridge the gap and that Arizona also should look into the sale and disposition of state trust lands. “I’ve got other ideas as we go forward. But we’ll have to grow the economy. We have to create economic health,” DuVal said. In the emailed statement, Ducey outlined his plans for growing the economy but didn’t address a question about how he would make the first payment to schools if eventually required to do so. From ''no more budget cuts'' to raising the literacy rate, candidates Doug Ducey and Fred DuVal pose different solutions for education in Arizona. 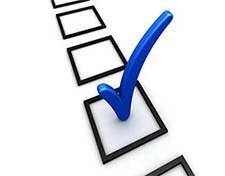 Reporter Megan Guthrie looks into what each promises if elected. 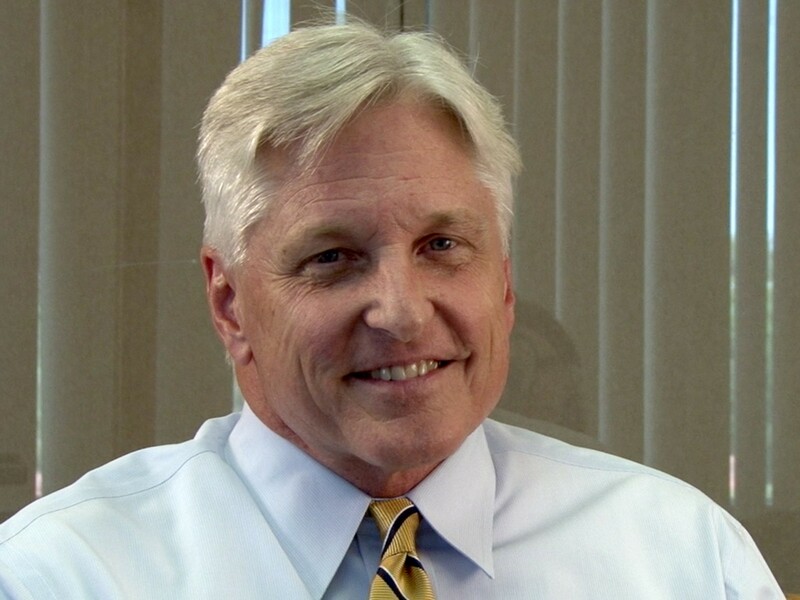 Democrat Fred DuVal says the state should make the first payment of about $317 million a judge says is owed because the Legislature failed to adjust base school funding for inflation as required by a voter-approved law. Republican Doug Ducey says he agrees with Gov. Jan Brewer's decision to appeal a court ruling saying the state must make a first payment of $317 million to reimburse schools for shorting base funding since 2010 in violation of a voter-approved law.